years and still loves it! She understands that real estate is the biggest investment most people make in their lives, but believes buying or selling your property should not be stressfull but an enjoyable and exciting experience. The many years in the business has given Joni the know how of guiding through the process with the goal of a sound financial result for both buyers and sellers. Joni is known for her no nonsense approach to advice and will tell you what you need to hear, not what you want to hear! Of course, this is delivered with a gentle smile. Joni has been an active volunteer in the community and was head chairperson for the building of our skatepark (one of the best outdoor skateparks in British Columbia!). At the time, as a mother of a teenager, she truly understood their needs (and of the parents!) to have a place to "hang out" and practice their sport in an open friendly environment. All the efforts put in to see this vision come true is paid back each time she drives by and sees the park packed full of kids. 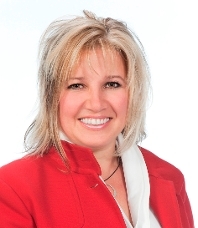 Joni was President of the BC Northern Real Estate Board (BCNREB) for 2011-2012. She had been an active member previously serving on the Board as a Director for six years. She works as a leader to help develop, support, and educate local real estate members in the largest "geographical" board in the world. She works on serving the interests of the real estate investment industry through education, leadership on legislative issues, and promoting professionalism and standards of excellence in our industry. Joni recently received the "ReMax Special Services" award of ReMax Western Canada. This award is granted to individuals who help promote the name and image of ReMax but also contribute to the betterment of the real estate industry. She was selected from over 5,909 sales associates in Western Canada, which spans 4 provinces and 2 territories. Joni believes in the future of Prince George and looks forward to many more great years here!